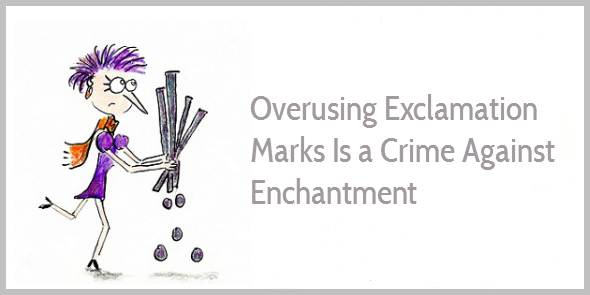 Many writers think the exclamation mark adds power to their voice. But that’s untrue. The real power comes from full stops. Your job as a blogger is not simply to write tutorials, to share tips, facts, and advice. Instead of acting solely like a blogger dishing out your tips, become a mentor for your readers, a chief of your village, a leader of your tribe. Fire up your tribe and jump-start their actions because your readers are waiting for you. It fizzles out a little, doesn’t it? It doesn’t make you feel excited about your blogging journey. Using more full stops is the easiest way to invigorate your words. To add stress to specific phrases. To become more authoritative and inspirational. But be careful. Don’t use full stops all the time as it would make the rhythm of your writing too monotone. If the full stop is a sign of power and authority, then the comma is its quiet sister, creating a soft pause rather than an abrupt end. The comma makes your text flow softly—like a lullaby of undulating sentences disappearing into the distance, sometimes turning into a wild river when a multitude of commas is used in one sentence. If you replace all commas in the above sentence with a full stop, then the whole atmosphere of the sentence changes and the text becomes difficult and monotonous. 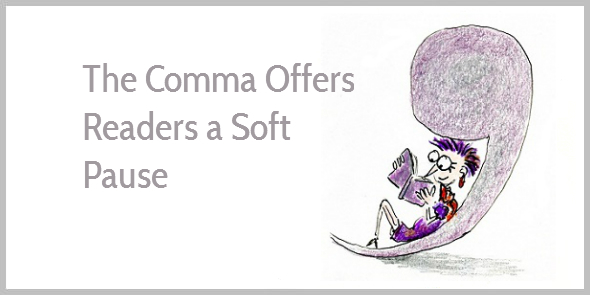 Play around with commas and full stops in your writing. Notice how it changes your voice. You may think that writing is a monologue. You are the writer. You share your thoughts. 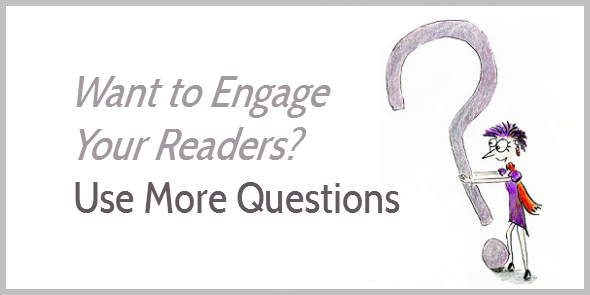 But empathetic writers engage their readers with questions. Most bloggers wish they’d gain more email subscribers when they publish guest posts. You might work hard to establish connections with editors and share your most valuable tips in your guest posts. But if you ever feel disappointed with your guest post performance, then follow the tips below to get more email subscribers. Note the difference in tone? Next time you edit your writing, try a few extra questions, and see how it changes your voice. If the question mark engages, the exclamation mark repels. Because it’s overused! Or worse!!! As HubSpot points out in their educational flowchart, only use an exclamation mark for real exclamations. Whoa! Let’s go! In other cases, use powerful words instead of exclamation marks. Instead of writing She’s popular! try She’s mega-popular or She has a raving following. Good writers choose their words with piercing precision so they don’t need to opt for lazy exclamation marks. There is an underlying rhythm to all text. Sentences crash and fall like the waves of the sea, and work unconsciously on the reader. Punctuation is the music of language. As a conductor can influence the experience of the song by manipulating its rhythm, so can punctuation influence the reading experience, bring out the best (or worst) in a text. Stop thinking punctuation is for grammar sticklers and pedants. Start playing with commas, full stops, and question marks. Read your text aloud, and notice how your voice changes. PS Thank you to Véronique for inspiring this post. PPS Want to learn how to use punctuation correctly? The online punctuation guide is useful, including lots of examples. Love this! You are brilliant. We would have legions of engaging writers if the English language was taught with the passion you have for it. Thanks for the inspiration… and clarity on a topic that up to now seemed very academic. ? In my experience, most language teachers focus on using language correctly. Of course, using language correctly is important, as we need to follow some conventions to be understood. But I’d love to see more teachers nurture a love of language plus teach students how to use language to engage and persuade. So, yeah, I totally agree, hehe. It’s often those fundamentals that seperate mediocre from outstanding copy. Punctuation really seems like beginners’ stuff. But get it right and you can boost the readability of your copy tremendously. Thanks once again for this fun to read and easy to implement post, Henneke. Power to the punctuation! Love how beautifully you illustrate this, Henneke. Excellent article, HK. And your drawings continue to be an 11 on a scale of 1-10, especially the period and comma. Priceless. Hmm. I sense that’s more of a statement leading into another statement or potentially a question but itself not an actual question. Did you intend it that way? The shortened sentence is more colloquial. It was approved by Copyblogger editorial team. Okay, cool. I do see how it would be a colloquial use. You could probably also replace the question mark by an ellipsis (…); that would work, too, at least for me. Some editors hate ellipses and find them unnecessary. A lot of punctuation “rules” are personal preferences. I’m not a punctuation stickler (but I do appreciate proper use of the apostrophe 😉 ). When ellipses are used properly, I think they convey intent very nicely. Bottom line, grammar exists to assist in the communication of our message. It can improve speed of understanding and quality of understanding. What’s not to like about that? Having been in advertising for many years, I’ve always been hyper-aware of the rhythm of sentences. We’d tinker with different configurations of headlines for hours, just to create the magic combination that tickles the brain in just the right way. If you look at popular taglines or award-winning headlines, it’s easy to see how they could have been drab with only a slight difference in the wording or the punctuation. With words, we’re not just imparting meaning, we’re signalling intentions. Thank you for this excellent primer on punctuation. Even old dogs can learn new tricks. Thank you for stopping by again, Jon. I appreciate it. Yeh, well, after the creative team is happy, you’ve got the creative director. Then the account people, then the client, and so on. But that’s another story. I first read that quote from Oscar Wilde about 20 years ago and my immediate reaction was. . . fist pump (exclamation mark, exclamation mark – which of course I never use) Yes (God, I want to use an exclamation mark here). I agonise over punctuation, which is why it takes me three weeks to write a first draft of anything. And I thought I was alone. Have you read the book Eat, Shoots & Leaves? Another valuable piece of advice for content creators everywhere. Thanks Henneke. There’s been a lot of discussion about the relative desirability of the written vs. the spoken voice. The two will never be the same, but this post shows how to make written prose as powerful as a well delivered speech…maybe even more so. So, here’s to the power of the written word! Thank you for stopping by, Rodney. I appreciate it. Oops. That’s a good catch. I’m going to correct it straightaway. Thank you Henneke. It sounds like you had fun writing this article – terrific Oscar Wilde snippet. You demonstrated the use of the full stop and comma beautifully (your dislike of exclamation marks is well known ….). Definitely encouraged to play with punctuation after reading your post, Henneke. Totally with you where you say that the full stop holds more punctuational (is that a word?) power than the exclamation mark. I tend to get turned off by what seems to be an over use of the exclamation mark in marketing copy or blogs. Making a stand for the full stop. Let’s add “punctuational” to the dictionary. Why not? I like making up words. Even “snackable” isn’t officially a word (but I didn’t make that up myself). Shakespeare also made up words. I really love that you detest that damn exclamation point as much as I do. It’s so overused!!! And it’s so obnoxious!!!!! Always a pleasure to read your advice. THANKS A TON FOR SHARING!!!!!!!!!!!!!!!!!!!!!!!!!! As a grammar stickler and a punctuation pedant, I must say, you had me at “Truss”. I was itching to slide down here and exclaim about the darling “apostro-tree”. I’m so glad I did not, since it actually was a comma. Ha! I constantly marvel at an ESL learner teaching English speakers their own language. Great job, as always, Henneke. Yes, as you said, the clipped and true exclamation needs the exclamation mark. There is another instance when we may choose to include it, when we use those “question” words and are not asking anything, but exclaiming, such as, “What a beautiful day!” This is merely a point of intent, though. The same sentence could be intended to indicate sarcasm, such as we might say flatly on a very muddy, raining day. Then, omitting the exclamation point truly relays the point. Yes, that’s an excellent point. I didn’t make that clear. Thank you so much for adding that, Katharine. And who knows … perhaps the apostrophe can make an appearance in another post. I always appreciate your comments, Katharine. Thanks Henneke! That gives me an idea about how strict to be with my new resolution. Thank you Henneke, now I have learnt the usage of these punctuation marks! I will certainly use these marks in my writing, with careful placement. Shorter sentences make for a faster read and happier reader. That’s what it’s all about. Thanks for the reminder. ever) gives the sense of a wheel turning, which also draws in the reader. Great writing always brings in readers. You show how punctuation makes this possible. That sentence from Dickens is crazy in a nice way, isn’t it? I never get enough of your posts Henneke. The comma is my favourite punctuation too. I’ve seen some people messing them up though…In an attempt to add flavour, the writing ends up being too choppy and sleazy. I’ll rather have that though than an unending sentence that leaves one huffing and puffing. As for exclamation marks ( the smiley faces of the punctuation world☺)…i used to enslave these poor symbols. Thanks to your rehab, I’m recovering and haven’t used? in a while. We rely on them far too heavily when what we really need to do is to go back to our words and try to make them convey more precisely what we’re trying to say. But…i trust you to stamp out these crimes. Keep them coming my lady. Yes, I hate the huffing-and-puffing sentences, too, when somewhere halfway you get lost wondering what’s connected to what, so you have to start again to figure out the meaning of everything. Thank you for your lovely comment, Linda. I appreciate it! Punctuation adds a road map to your writing. It let’s you know when to stop, slow down, speed up and go with the flow of traffic. I like the examples you have here. I try to add more questions within my posts now to include my readers more on the topic. It engages them more and it feels like you’re speaking directly to each one of them. At least that’s what it feels like when I read posts with questions. Yep, so true, and well put. Without punctuation we would get lost. Try reading a text without punctuation… that’s a real struggle! Thanks, Henneke. What fun to romp barefoot again in the world of punctuation. The former editor in me is stuck on the compound predicate in the Noah Lukeman quote that is separated by an unnecessary comma. Delete! Delete! And … what about those other, more nuanced forms of punctuation: the ellipsis; the colon; the semi-colon; the em dash–? Perhaps I can pick up the courage to write another post about the other punctuation marks some time. Who knows? Thank you for stopping by again, Marcella! I had no idea punctuation was so important. Thanks for the post, Henneke. Yes, I love full stops. I don’t know why anyone would call them bad. Happy writing, Julian! And thank you for stopping by. I have nothing to add. Period. You explain punctuation very eloquently, I am in awe; also for the Punctuation Guide link, which I will no doubt use often. Thank you, Karina. Happy writing! You are just getting more brilliant every time you write. I need to read this a few more times to grasp the significance of all the nuances. 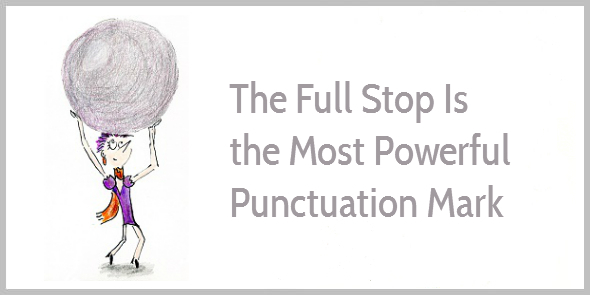 Mastering punctuation may be the secret to writing well! It’s the hidden structure that holds the integrity of a sentence together. Yes, punctuation is probably more important than most of us think. 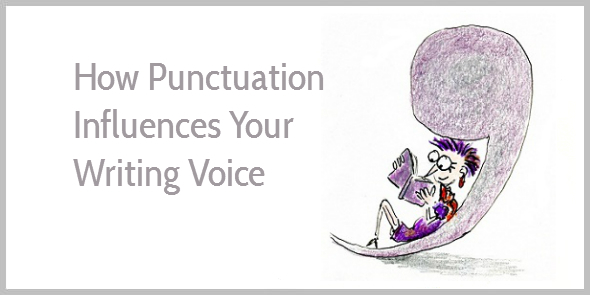 It’s not just about using punctuation correctly, but about using punctuation to express our voice and adjust our tone. Proper use of punctuation can only portray the right intention of any message. Thanks for sharing. Take care. Thank you, Manidipa. Happy writing! Really great job with this. In the past, I had a lot of issues with punctuation. I would definitely abuse the exclamation mark when I didn’t have to. And you’re right . Those that tend to do that is typically lazy. But I improved my writing over the years and I’d like to say I’m much better. Especially when using the question mark. That really does help engage readers and is my favourite punctuation mark too. Thoroughly enjoyed this. What a fabulous post. I’m doing a writing course at the moment, and my biggest issue is punctuation. Reading this fun and easy to follow post helps enormously. And I adore the sketches. Could Commas and Cats be Connected? A cat has claws at the ends of its paws”. Charles Dickens shows us all how an ” overused ” punctuation can sometimes be a real winner. I agree with rules, but at times they have to be broken to produce classic reasons why we should not follow the rules. Poor fellow, he probably failed English Grammar at school. I was recently thinking about the same topic. But you have put it in a really fun and enjoyable way. Thank you for your lovely comment, Aditya. I really enjoyed reading this blog. It was informative and very helpful, but not boring and stuffy. It made it okay for me to relax a little. It help me understand that it I don’t have to be grammarily correct at all times, but have fun and enjoy writing. Yes, the word “grammarily” isn’t in the dictionary, but it is in mine ! Thanks for the Punctuation Guide Henneke and cool use of Henrietta? Thank you, Lisa, for stopping by. When I read your blog, I feel inspired, more confidence.